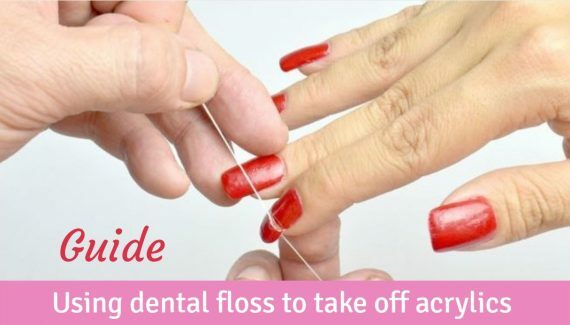 Getting acrylic nails is not enough, their regular maintenance is also required. One of the major task to do every 2 to 3 weeks is getting your acrylic nails filled in. Visiting the nail salon biweekly just for filling the gaps may cost you much more than your expected budget. In some cases you may even want to get them removed as they are putting a lot of burden on your pocket. 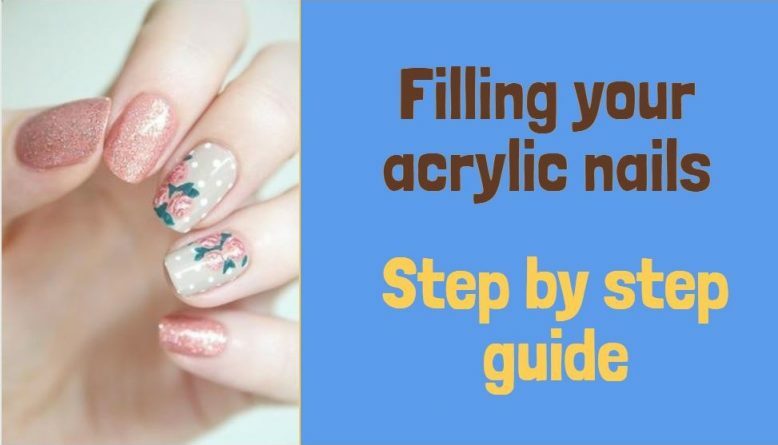 Fortunately this guide comes as your savior which will teach you step by step how to fill acrylic nails yourself at home without any need of nail expert. If you did acrylics yourself, then you should be having these already and if not, then you can check my recommended nail supplies which are affordable and the best quality product one needs. Please note in above supplies guide, i have suggested “acetone based nail polish remover”. So we are now ready with the supplies in hand, now its time to start with the process. Start by removing the old nail paint. Use cotton balls soaked in Acetone Free Nail Paint Remover only for this purpose. The reason is that if we use acetone based remover, then acrylics will be damaged and will start getting dissolved along with the nail paint. Since we are not removing the acrylics but only the nail polish so it becomes essential to use acetone free nail polish remover only. Once you have removed the nail polish off your 10 nails then wash them with water and soak them dry with a soft cotton pad or towel. You want a complete clean surface before we go ahead with filling the gaps. Any leftover dust or bacteria may infect your nail bed later on. Because of your nail growth, some of the acrylic at bottom edge might have been lifted up. Also there can be rough surface if you got the acrylic damaged due to any accident. Use a rough nail buffer to remove the lifted or excess acrylics. Warning: Do not use buffer on the natural nail bed on which no acrylics exist. Rough buffer is meant only for cleaning the lifted acrylics and not for natural nail. Now apply a drop of nail primer using a brush on your natural nail (the uncovered portion). For better results, apply 2 to 3 coats of nail primer. Be sure that you let the previous coat to dry before you move on to the next coat. Warning: Nail primer should be applied on your nail only. 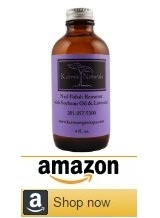 Do not apply it on finger or even the cuticles. Now take a glass dish and prepare the acrylic mixture. For this, you will need acrylic powder and acrylic liquid (monomer) to be mixed together. For detailed guide on how to prepare the acrylic mixture, please refer to an another tutorial of mine. Please refer to step 4 only of above guide and not step 5 (as that is for fresh acrylic application). When you have prepared the perfect bead of acrylic mixture on the brush following the above guide, then apply it on the natural nail first evenly. Apply only the amount required to bring the surface equal to the rest of the acrylic nail. Thereafter apply one or two coats of acrylic mixture on the full nail to get the even surface for the entire nail. After applying the acrylic, leave your hands still for the next few minutes and let the acrylic dry completely. If you want, then you can file the nail to reduce the overall length as your nail grew over last 2 weeks. Buffer the entire nail using the soft side of the nail buffer to make the overall texture smooth and shiny. Keep filing and buffering until you get the desired shape for the nail. On step one you mention soaking the nails- this is unadvisable with acrylics or gels because it adds moisture to the nail and causes the nail to swell, and acrylic to adhere improperly and lift. 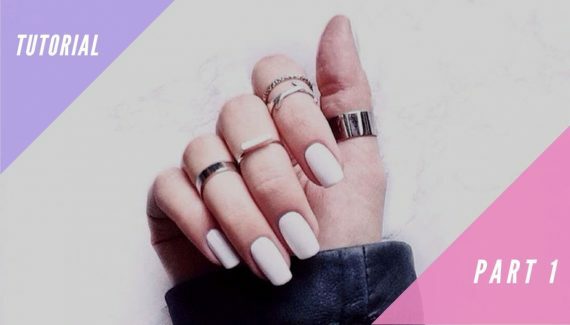 Many salons are even ditching soaking nails with procedures like a regular manicure because it can cause nail polish to lift and damage to the nails (wet nails are soft and more prone to damage.) Also nail bowls and brushes can be hard to disinfect or expensive to replace (nail brushes) with each client.